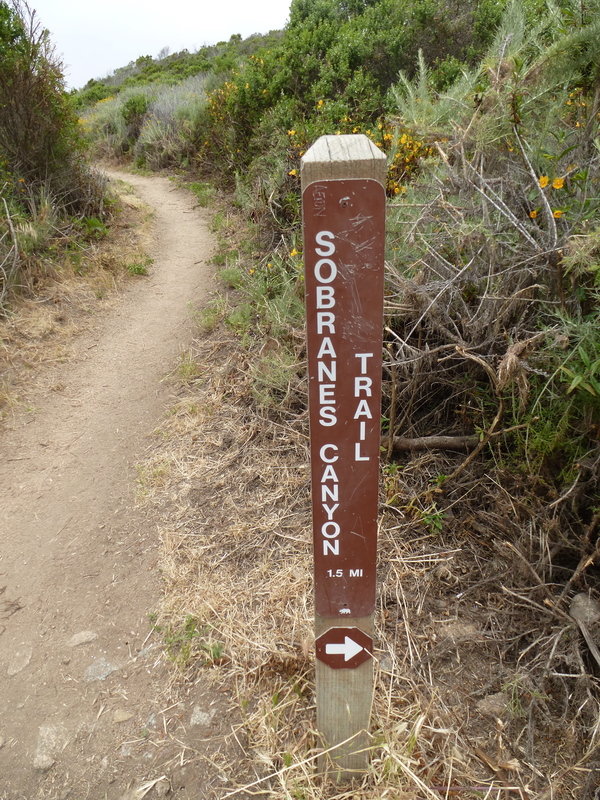 Soberanes Canyon Trail, 1.5 miles one-way (3 miles total). 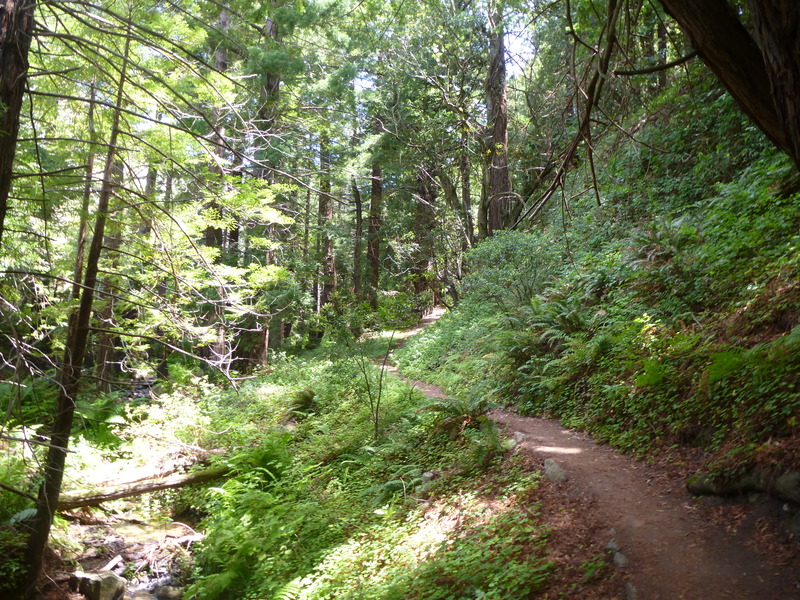 You can keep going and hook up with the Rocky Ridge Trail if you’d like to add a few more miles and a lot more elevation to your trip. 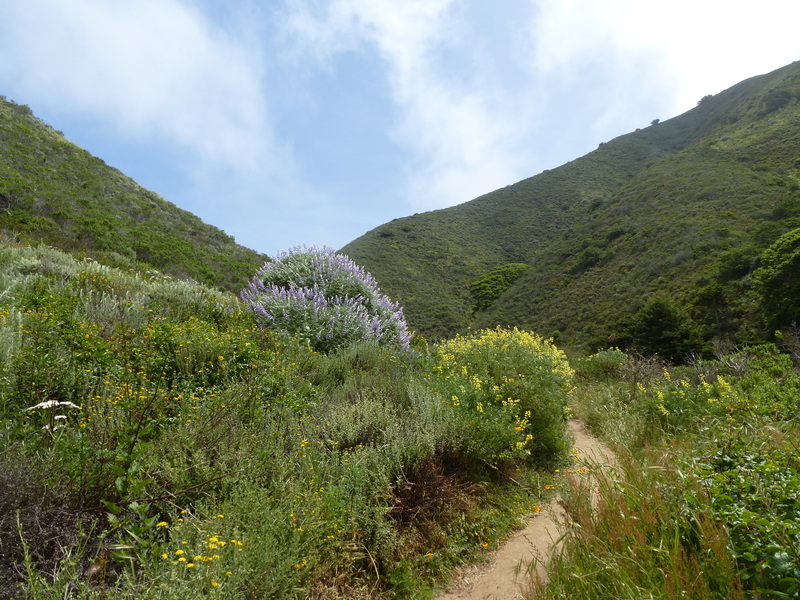 We opted to only do Soberanes Canyon Trail on our first trip out. 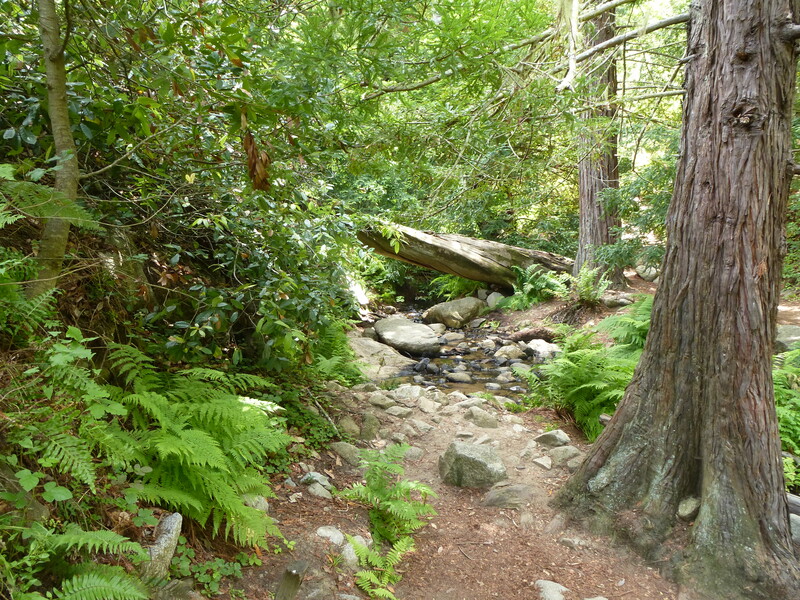 Rocky Ridge Trail will be more enjoyable for the gung-ho hiker than the novice. 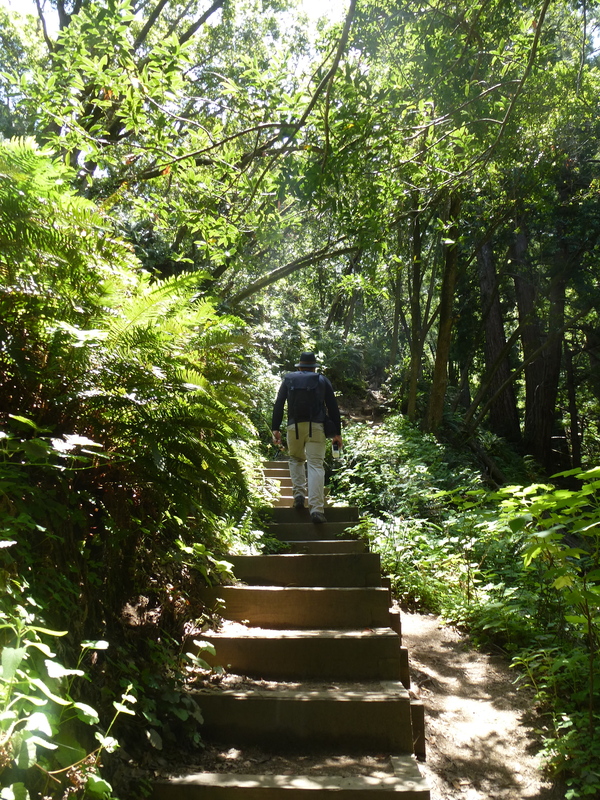 The trail ascends very steeply as it climbs Rocky Ridge. 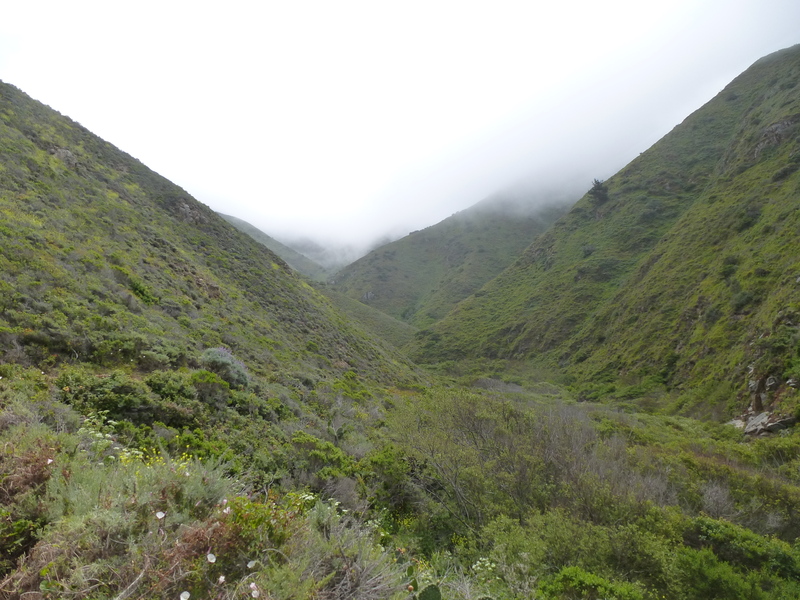 Then, after gaining the ridge, hikers must descend an extremely steep mile (we’re talking about a 20 to 30 percent grade here) to connect to Soberanes Canyon Trail. 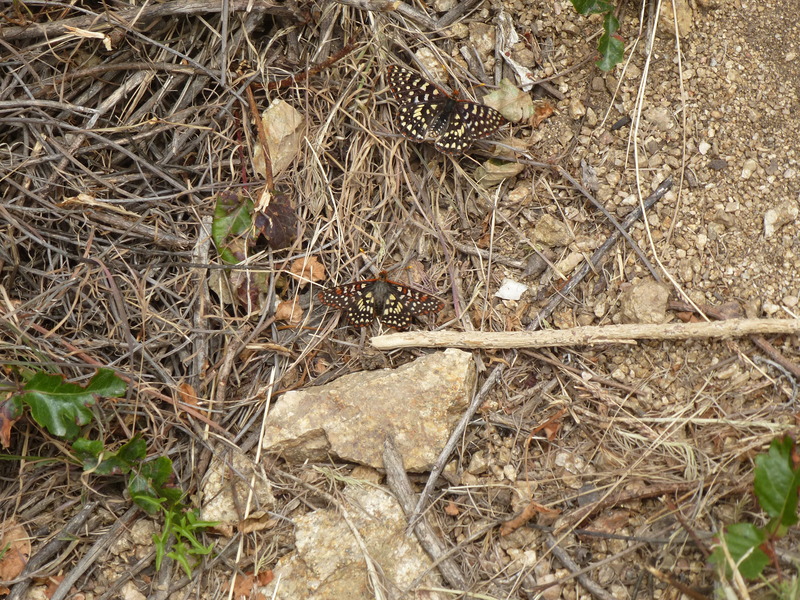 Located on Highway 1 about 7 miles south of Carmel Valley Road. Look for mile marker 65.8 for the highway turnout – there are almost always cars there, so it’s pretty easy to spot. 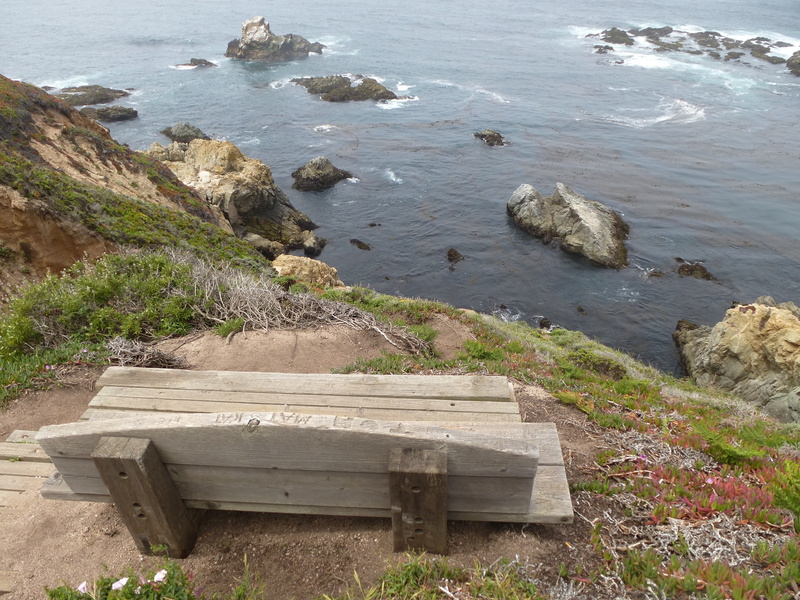 A very short walk leads to a bench with an amazing view. There’s a steep rut (wouldn’t call it a trail) covered with roots that descends toward the water. That’s a prime example of why Big Sur is so amazing. 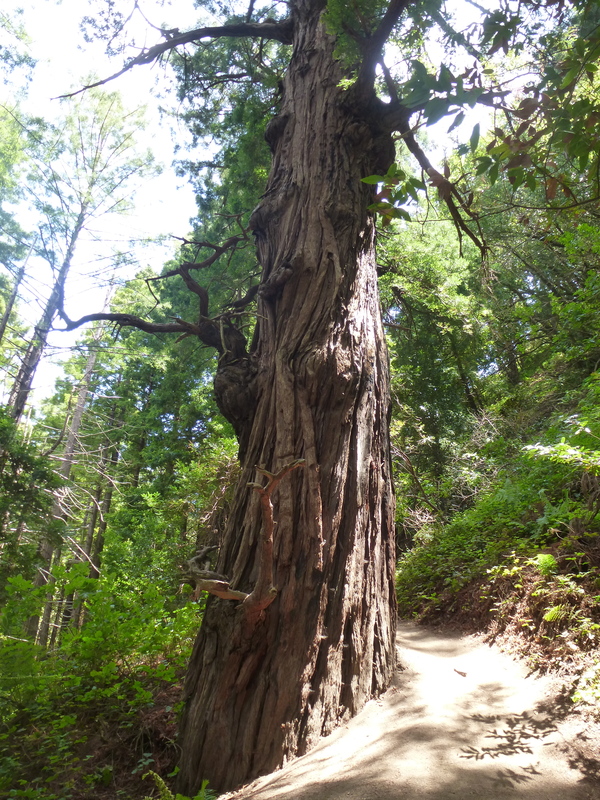 Any random, Pacific-side trail is guaranteed to lead you to a breathtaking view. We headed to Soberanes and had to pull into the grass on the side of the highway to park because the lot was full. 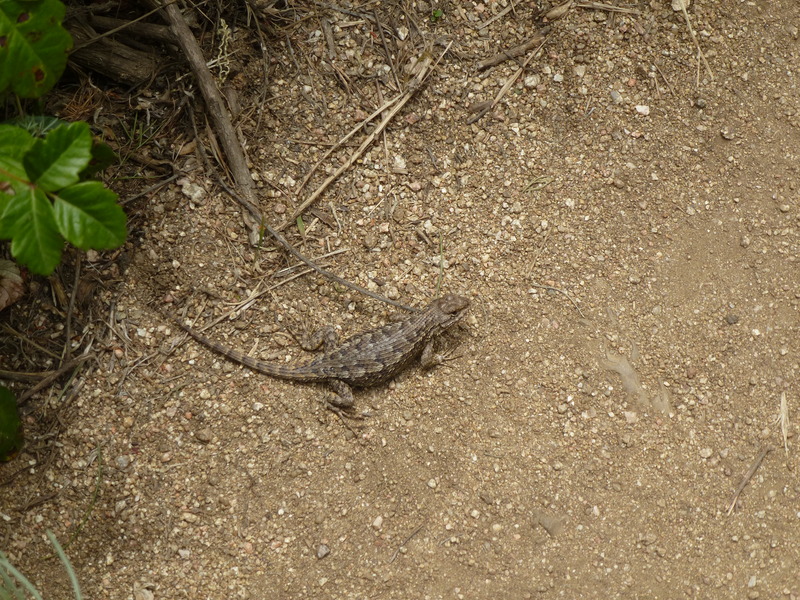 Even though there were plenty of cars, we only passed other hikers on the trail every once in a while. It didn’t feel crowded. 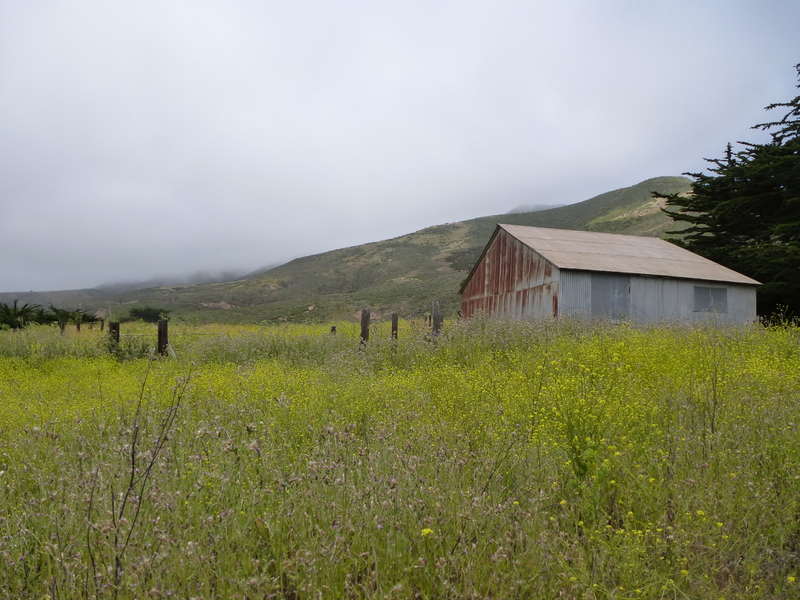 Soberanes used to be a ranch. Only the barn remains. 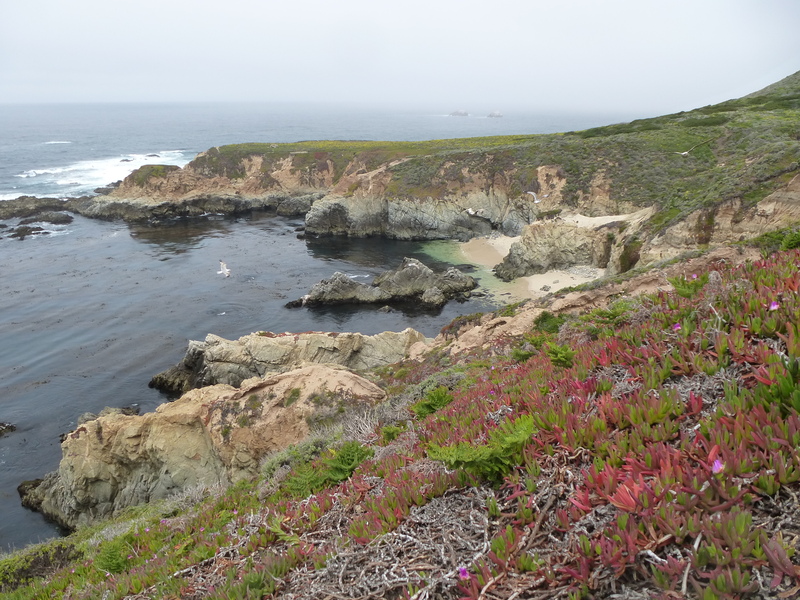 The weather in Pacific Grove was gray and lightly misting, and it wasn’t much different once we got to Soberanes. 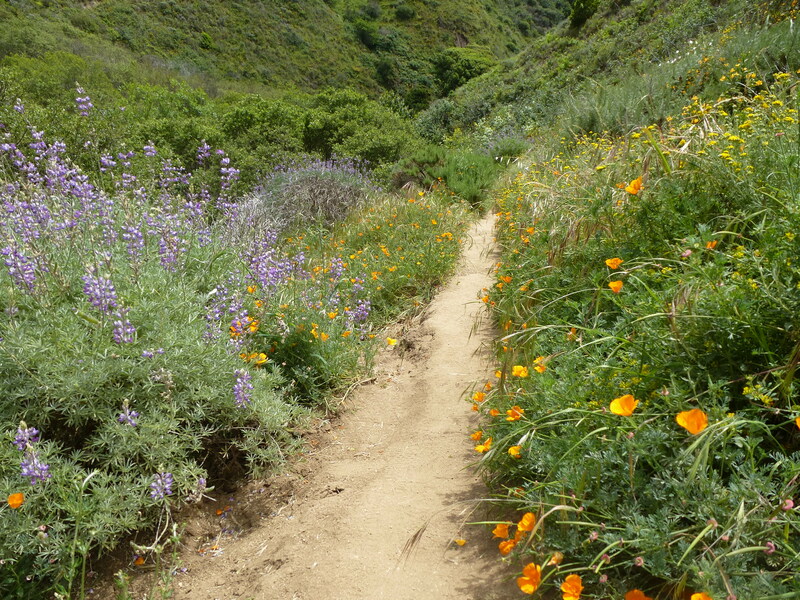 It cleared up pretty quickly as we headed inland, and the sun highlighted the colorful display of flowers along the trail. 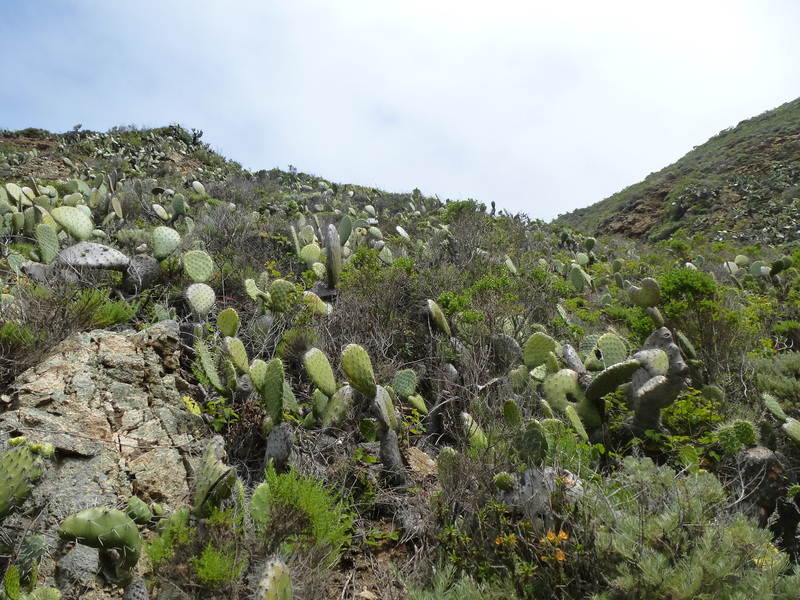 There was also quite a bit of (unexpected) cacti in the beginning. After walking through the canyon of flowers, you start traveling along a creek (which you easily cross a few times on rocks or tree limbs). Big change to the scenery and the light. There are a lot of side trails that take you deeper into the woods and further away from people. 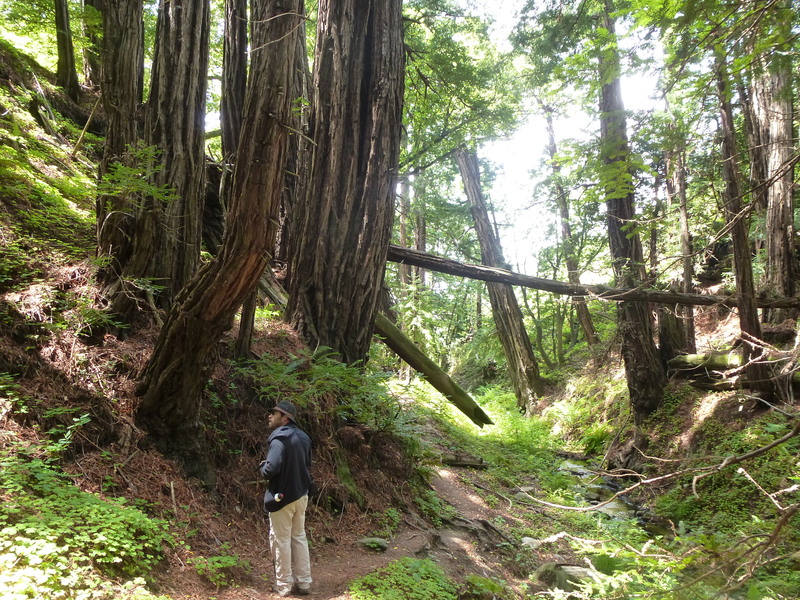 We found a large fallen tree that served as a great place to eat lunch–and noticed that we had ticks on our pants. 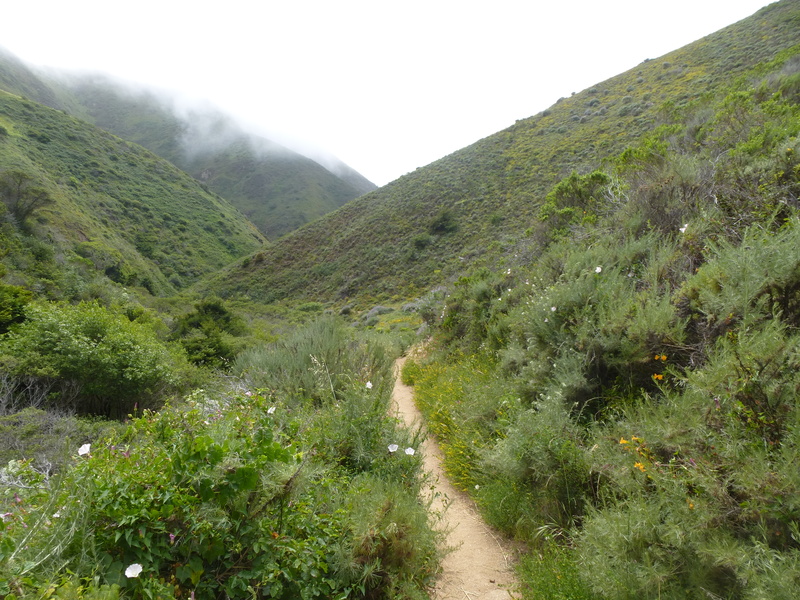 I felt sorry for the people who were hiking in shorts, not only for the ticks but also the copious poison oak that’s all over Big Sur and often brushes your legs in the more narrow sections of the trail. This tree looked like it might come alive and throw apples at us. Stairs made for an easier climb in the few places with a steep incline. I don’t think that’s the case for the Rocky Ridge Trail. 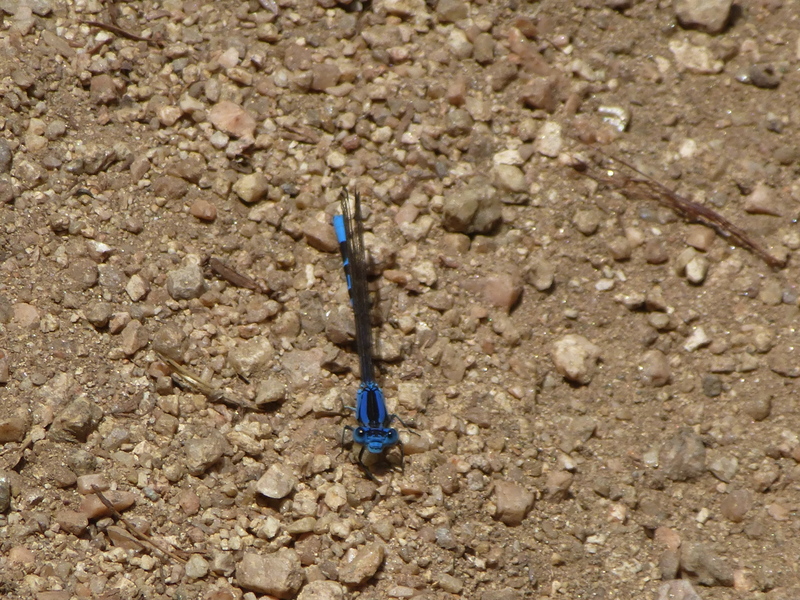 Other than the usual bird suspects, most of the wildlife on our visit included beautiful blue dragonflies, lizards and butterflies. Once we got back to the start of the hike, the fog was waiting. It was a nice, cool end to what was a surprisingly warm and sunny hike. We’ve seen chipmunks around here before, if memory serves, but have yet to see any since we moved here. Do those bastards migrate? Maybe all the squirrels ran them off. Yep, looks just like Houston….NOT!!! It’s been quite a transition, Harry. Next Post run for your lives–June is here!